Andrew Pszonek, 79, passed away on February 2, 2019 at home with his family at his side. He was the son of the late Andrew and Julia (Zanowiak) Pszonek. Andrew proudly served his country in the army having been stationed at Fort Brag North Carolina for twenty months. He was a life member of the Mt. Carmel Lyceum and served as its president. He was also a past member and officer of the Lyceum Intra Club Bowling League and the Bayonne Bocce League. He served on the parish council of Mt. Carmel Church as a Lyceum representative. Andrew was an avid sports fan following the Yankees and the Giants. He also enjoyed hockey and basketball. He enjoyed cruising and sailed the Caribbean many times with his wife and friends. Andrew also liked the sand and surf of the Jersey Shore. Andrew was employed in the banking industry for more than 45 years. 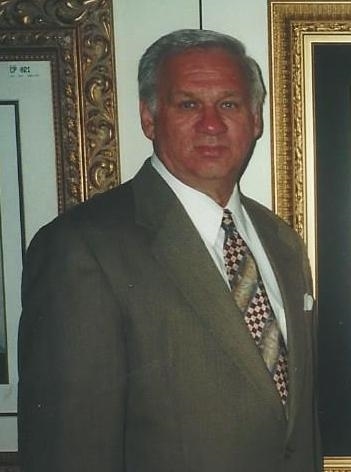 Andrew was last employed at the law offices of Leonard P. Kiczek in Bayonne. Andrew is survived by his wife, Arlene (Leszcynski) his daughter V. Denise Pszonek. His fuzzy friend Francis Albert will also miss him. Donations in Andrew’s name can be made to St. Jude Children’s Research Hospital, 501 St. Jude Place, Memphis, TN 38105 in his memory. Andrew was cremated, and as he requested, there was no viewing or service.